Alain Maingreaud joined TFWA in 1995 as Commercial Director and was specifically tasked with developing the Association’s Asian activities. He was closely involved with the early development of the TFWA Asia Pacific Exhibition & Conference, which is now held every year in May in Singapore. Following subsequent promotions, he has supervised all TFWA events across the world in recent years. This includes the organisation of the biggest show in the duty free and travel retail industry, TFWA World Exhibition & Conference, which has been held in Cannes every October since 1984. Maingreaud played a pivotal role in the addition of the TFWA Digital Village technology exhibition to the programme. He was also instrumental in the conception and launch of the TFWA China’s Century Conference, which made its first appearance on the travel retail calendar in 2013. 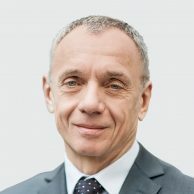 Alain was named Managing Director of TFWA in 2010, and in December 2018, was elected as TFWA President.